Vote now—and vote daily—to choose your favorite project competing to win this month's Bob Vila Thumbs Up competition! When it comes to woodworking, few things are as ubiquitous as the humble 2 x 4 wooden plank. There’s a good reason this material appears in so many DIY projects. Not only is this board multifunctional, but it’s sturdy and of good quality to boot. That’s why we ‘re featuring a few of our favorite 2 x 4 projects from around the web in this month’s Bob Vila Thumbs Up competition. 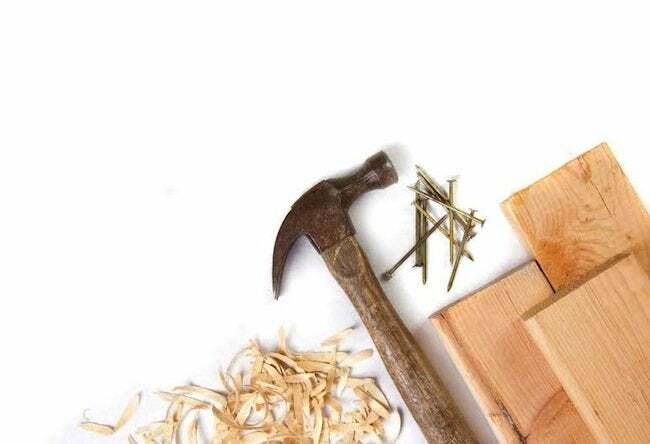 Bob Vila Thumbs Up highlights some of the best and brightest DIY bloggers, and this month we’re excited to share three incredible 2 x 4 projects. Each and every one wins points for creativity and style, but we’re counting on you to help us name one blogger as the champion of this month’s competition and the prize—a $250 gift card. So cast your vote today and every day in July to help your favorite blogger become this month’s Bob Vila Thumbs Up winner. After all, it’s your vote that determines the outcome of this competition. Congrats to last month’s winning blogger, Start at Home. Read more about the winning Bob Vila Thumbs Up project right here.